I was in Tompkins Square the other day when I heard a commotion and looked up to see Christo being chased by five crows. 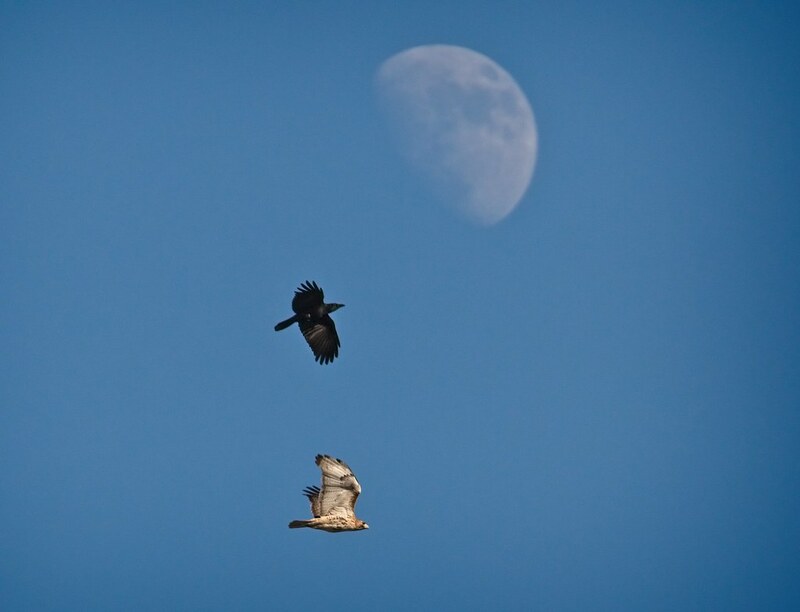 I snapped a photo just as he and one of the crows flew past the waxing moon. They ended up on top of the Christodora where Christo held his ground and the crows dispersed.